We caught up with the Ugandan builder, Patrick this morning. The plastering of walls is completed they are still working on the cornices. Chipping of the floors in the first room has started in preparation for final floor surface to be laid. Outside near generator the retaining wall / stormwater drainage is finished and plastering the brick wall along fence line will be completed tomorrow. Along building wall Amos , the plumber , is laying waste pipes and when this is completed painting of the generator building will be done. The next week they will start digging the water tank hole and prepping for the stand. Visits from Gateway Baptist Church cohort has greatly blessed the Yotkom Centre in Kitgum. He is mentoring a young man, Denis who is undertaking medical studies at nearby Gulu University . Denis has been bonded to work at Yotkom at the completion of his studies as part of our human resource planning for the future. Chelsea Edwards has background in medical research and was able to introduce a new pathology test kit to our laboratory for Leischmaniasis. She also developed close relationships with our administrators, theatre nurse and medical record department. I want to thank you for your continuing interest in our Yotkom project in Northern Uganda and for your support. 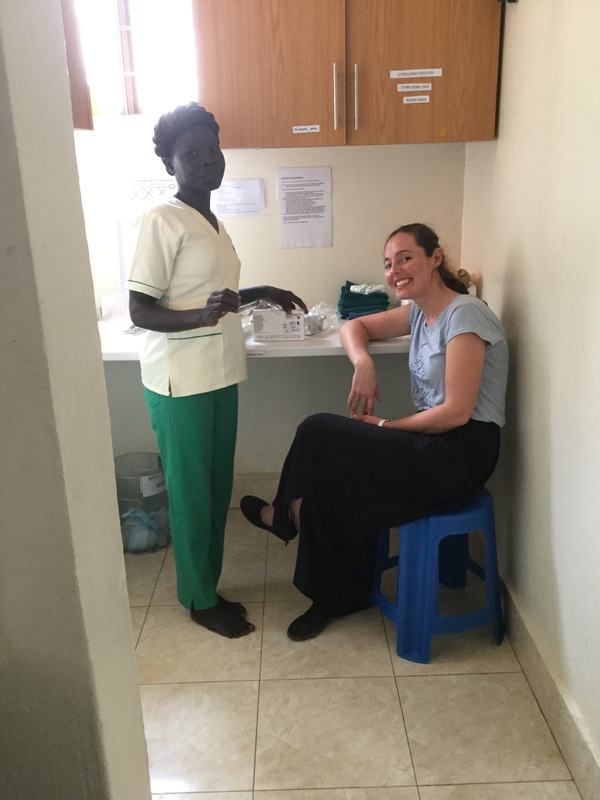 Currently I am in Uganda at the Medical Centre in Kitgum and we have recently had several Australian visitors . A lot is happening here. We are very encouraged by the growth we are seeing! The Primary Health care centre is treating around 15000 patients per year and we employ 32 Ugandan medical and support staff. with limited financial capacity to share health care costs. Right now the Maternal and Child health facility is underway and going ahead in leaps and bounds. I am so excited to see this fulfilment of a long time vision . It is going to help us grow but at the same time will be financial challenge for us as we need to employ more highly qualified medics to supervise and provide safe care. Please consider donating to our work as we know the next 2 years in particular will be a growth phase where costs will increase. We believe we will ultimately achieve a high degree of self reliance in our new facility as our reputation becomes known and patient numbers increase. In the meantime, as we increase our services, your donations are much appreciated. The Yotkom Laboratory has been a great step forward for healthcare in Kitgum. 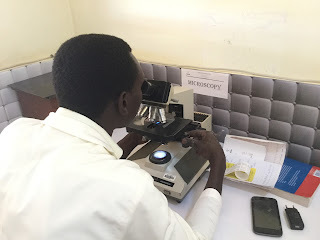 Healthcare workers can diagnose in the laboratory tuberculosis and other tropical diseases like schistosomiasis. This November we are excited to be able to commence a dental service to the community. The area we service has a population of over 300,000 and people with tooth ache and decay suffer so much without skilled interventions. The Yotkom Medical centre has employed Godfrey as a dentist and Annette as a dental assistant . We have set up a well equipped basic facility and plan to expand this. 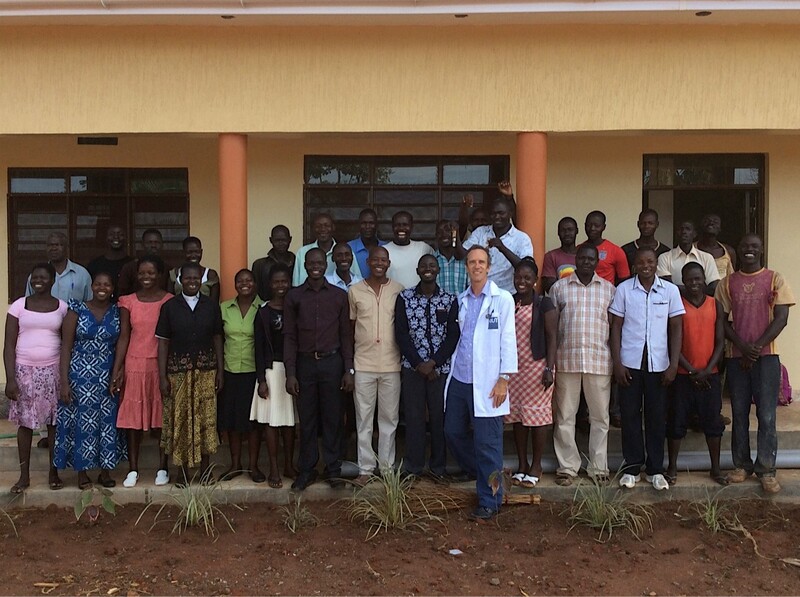 In 2018, a dentist from Australia has indicated a willingness to come to Kitgum and assist with ongoing mentoring and teaching. We believe this is a significant leap forward in our mission to bring wholistic high quality health care to northern Uganda. the child we sponsored by Yotkom to receive life saving surgery for a severe heart defect. He has done so well with open heart surgery performed here in Kampala. The physician said he was amazed at how well he recovered after surgery for a boy his age. We are so thankful to those who contributed to our compassionate fund. Our Yotkom compassion funds are set aside to assist the poor in our community to access life changing surgery. We know that Makmot , now aged 12 would not have survived without this treatment. while spending time at Yotkom Medical Centre in 2016. We will join up with Pat and Maree Holdsworth who have been working with the Yotkom team along with Matthew Davenport, a paramedic from Queensland for the past few weeks. We are appreciate your prayers for us all as we work together to continue building up the project and as we mentor our Ugandan leadership team and continue to seek to raise the medical standards of our facility. We are excited that we will be opening our new Yotkom canteen while we are there ( see photo BELOW) and this is going to provide much needed food and nutrition for our team of 25 and also for the patients and their families. We plan to help a Ugandan couple to establish this as a small business and to rent the building to them on our land at our front gate. We are also putting everything in place to build our maternal and child health facility over the next 9 months. The other goal during this time is to employ a Ugandan dentist and establish a dental service within our facility. We invite you to keep up to date with developments on our web site where some new photos and articles will be posted over the next few weeks. 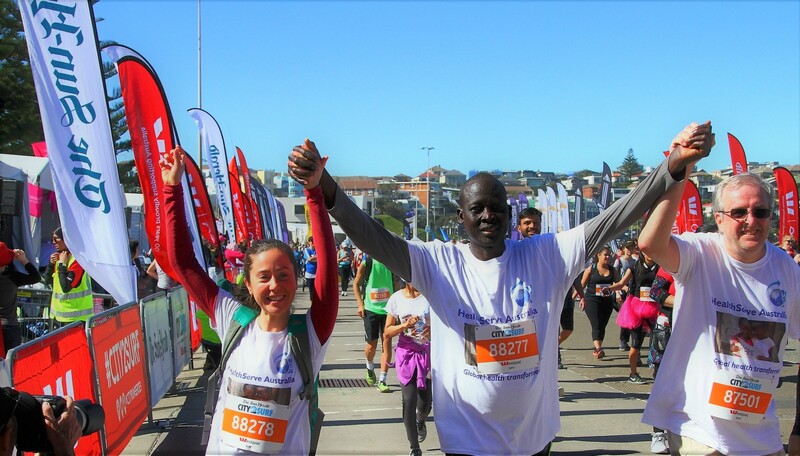 Thank you again for supporting our work and partnering with us! Andrew and Anne Wright and the Yotkom Uganda team ! Hi all! Well our time at Yotkom is coming to a close. We have realised this time how difficult running a health centre in Uganda is. There is a lot of opposition to improving health care here and raising the standards. Some of the difficulties are due to poverty, some due to culture, some due to staff motivation. And we realise that running a health facility could be so close to failure if it wasn't for God's help. But we have accepted to some extent that this is what we will be constantly facing each time we come. It is just the nature of working in the developing world where poverty and problems are rife. So we continue to press on. God has encouraged us in his word here and our daily devotions have been life giving and very timely. I have been thinking on the verses in Galations 6 verses 9 and 10. These verses encourage us to continue to do good and help others and NOT TO LOSE HEART. So this is what we strive to do. We have also been reading about Pauls life in Acts and being reminded again of all the opposition he faced and hardships. But he was faithful and continued to do good and finished the race set before him. We have been encouraged by all the people who have told us that the community are so impressed with the services they received at Yotkom. And all are encouraging us to keep going and to do more. At times when I have felt discouraged I have taken a walk around the wards and just looked at the patients that are admitted and realised that we are helping many. We are also encouraged by some of our leaders we are seeing growth in their characters and they are working hard to improve services and watch over the clinic. We have a core group of good staff which we are grateful for. We have had lots of meetings and brainstorming sessions which we hope will bring growth and improvements. I think the leaders will be exhausted and glad to see us go back to Australia. We have learnt a lot about culture and made a few boo boos culturally which we have all had a good laugh about. We leave for Kampala on Sunday an 8 to 9 hour drive. We are picking up our new pulse ambulance on Monday. This is a small ambulance trailer which you attach to the back of a motorbike and will really help us in transporting our critically ill patients. Thank you to all who have followed our movements with interest and have prayed for us. We look forward to catching up when we get home.